Brasser, Ted J.. "Plains Indigenous Peoples in Canada". The Canadian Encyclopedia, 04 February 2019, Historica Canada. https://www.thecanadianencyclopedia.ca/en/article/aboriginal-people-plains. Accessed 25 April 2019. The Plains cultural area is a vast territory that extends from southern Manitoba and the Mississippi River westward to the Rocky Mountains, and from the North Saskatchewan River south into Texas. The term “Plains peoples” describes a number of different and unique Indigenous nations, including the Siksika, Cree, Ojibwe, Assiniboine (Nakota) and Dakota. Who are the Plains Indigenous Peoples? 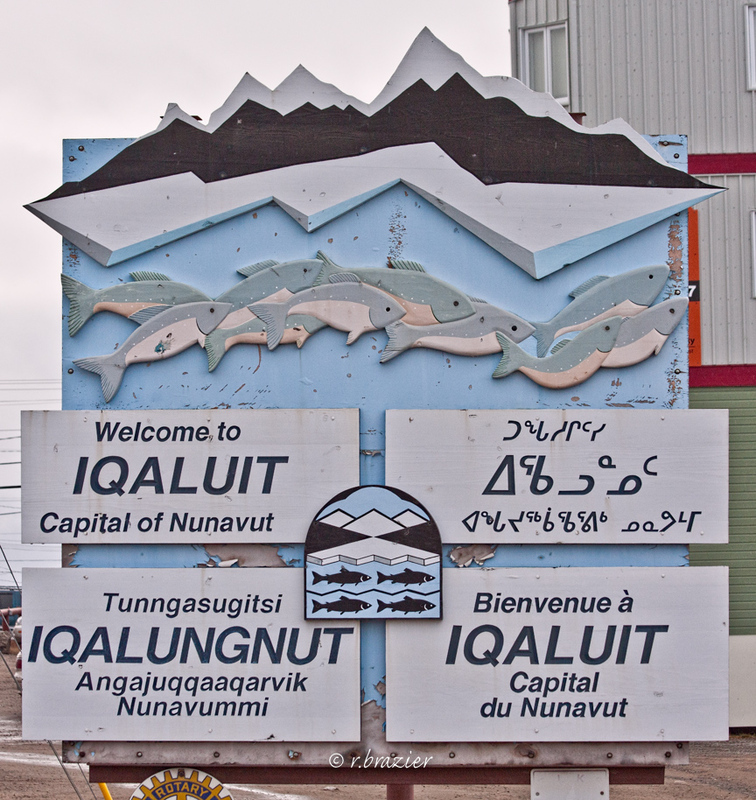 Indigenous peoples in Canada, both historical and contemporary, can be divided into six cultural areas	that, unlike provinces and countries, do not have strict boundaries, and instead refer to areas in more general terms. The Plains is one of these cultural areas. The others include the Arctic, Plateau, Subarctic, Northwest Coast	and Eastern Woodlands. Various Indigenous nations call the Plains their traditional territory, such as the Siksika, Piikani, Kainai, Dakota, Stoney Nakoda, Cree, Assiniboine	and Tsuut’ina. 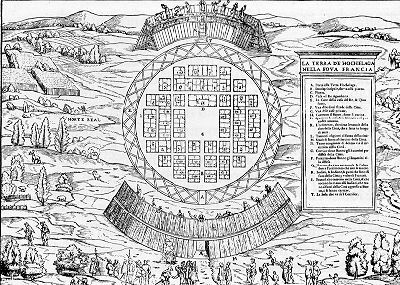 Before epidemics in the early 1800s drastically reduced the population, Plains Indigenous people in what is now Canada numbered an estimated 33,000. After sustained contact with Europeans, many Indigenous women, largely Plains Cree, intermarried with these newcomers, giving birth to the Métis — a culturally distinct Indigenous people. Though intermarriage was not uncommon in other areas of Canada and significant Métis communities exist elsewhere, many cite the Plains as the physical, cultural and political home of the Métis people. 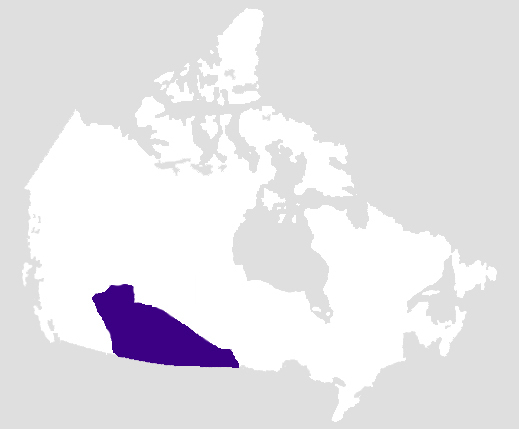 The Plains cultural area generally refers to the southern portions of Alberta and Saskatchewan, and southwestern Manitoba. This area has a continental climate — hot and dry summers and very cold winters. High grass covers the rolling prairies in the east; short grasses, sage and cacti the arid high plains to the west. Flat land and rolling hills extend in all directions. Flowing eastward, rivers have cut deeply into the land, and provide practically all the scarce available water. Tree growth on the high plains is restricted to these valleys, becoming rapidly more noticeable toward the margins of the area. This is the area that many Plains Indigenous peoples called home. Small bands of hunters roamed the Plains beginning at least 11,000 years ago. (See also Prehistory.) For several thousand years, bison hunting was conducted primarily with the use of spears, but around 200 CE a group known as the Avonlea people (because they lived during the Avonlea period) specialized in bowhunting. Some sources have the Avonlea people arriving in the southern Saskatchewan and Alberta	in 100 CE. By 1000 CE, they engaged in some agriculture, but continued to rely primarily on nomadic bison hunting. Before they had horses, Plains Indigenous peoples, such as the Blackfoot used tactics to funnel a herd towards a cliff . (artwork by Gerald Lazare). 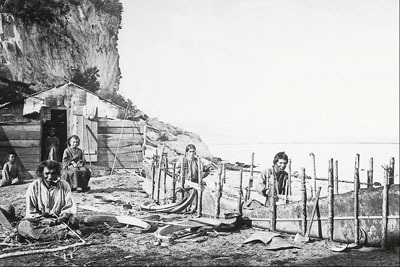 Traditionally, Plains people relied on seasonal fruits, vegetables and game for subsistence. Nuts, roots, berries were especially prevalent staples of the Plains diet. Fish was a regular supplement to bison meat for some Plains peoples. While women gathered and cultivated, hunting — a predominantly male activity — provided the bulk of food. 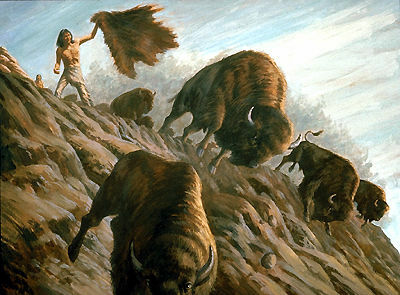 Plains hunters used animal-skin disguises to lure bison into traps or get close enough to a herd to kill bison on the periphery with bows and arrows. Hunters also directed bison to stampede over steep cliffs and fall to their death. While the horse greatly facilitated bison hunting, muzzleloading guns proved inferior to bow and arrows; Plains hunters switched away from bows and arrows only after more convenient breech-loading rifles were introduced by the 1860s. Women were primarily responsible for processing the spoils of the hunt. Some parts of the bison that were eaten immediately could be raw or cooked, but most was sliced and sun-dried for the winter or ground and mixed with fat and berries to make pemmican. When moving to a new camp, family property was transported by pack dogs. After 1776, some Indigenous peoples	on the Plains used the travois, a triangular frame of poles, dragged by dogs. Dogs were domesticated independently by Indigenous peoples in North America, though they were quickly replaced by European breeds after contact. In some cases, the travois provided the framework of the dwelling called a tipi, a cone of poles covered with bison skins. After the introduction of the horse, the increased carrying capacity made the construction and transport of larger travois and tipis possible. Snowshoes were used during the winter by some peoples on the northern Plains. Women made clothing for their families, often using the skins of antelope, deer and bison: breechcloth, leggings and shirts for men, long dresses and leggings for women. They also made robes and moccasins, sometimes out of bison hides. Bison was versatile; in addition to providing meat for food, the animal’s horns, bones, sinew and hide were used to fashion tent covers, shields, tools and utensils. Contact between Plains peoples and European fur traders and settlers rapidly accelerated societal change, which had traditionally moved much more gradually. The introduction of metalwares made pottery, stone chisels and arrowheads obsolete in the mid-18th century; glass beads gradually replaced quillwork and by the mid-19th century cloth became as common as animal skins for clothing. The Indian Act and other federal legislation and policies that encouraged assimilation, such as residential schools, threated Indigenous cultures on the Plains and elsewhere in Canada. The Indian Act forbade powwows	and many other cultural events. Forced onto reserves, the traditional hunting practices of the Plains Indigenous peoples became a thing of the past. Despite this cultural upheaval, Indigenous peoples have persevered. Powwow traditions and Indigenous languages, among other aspects of their cultures, have survived into the present day. Efforts to protect and preserve Indigenous culture aim to make sure art, language and more do not disappear. Languages from separate linguistic families are completely different, and within each family, languages may be similar but are not the same. This linguistic diversity and the high mobility of the Plains population encouraged the development of communication by means of hand gestures or sign language. Indigenous people in this area still speak a number of Plains languages. In the 2016 census, significant populations reported fluency in Cree, Anishinaabemowin (Ojibwe), Siksikáí’powahsin (Blackfoot) and Stoney Nakoda. The Métis language, Michif, evolved from a mixture of French and Plains Cree, while a variant called Bungee (largely considered extinct) is comprised of a mixture of English, Scottish Gaelic, Ojibwe and Cree. In 2016, 725 people reported Michif as their mother tongue. With less than 1,000 speakers, Michif is considered an endangered language. Language revitalization efforts are underway in some Métis communities. The adaptability of the Plains people to their natural environment, and in particular to the movements of the bison herds, is reflected in their social organization. Most nations consisted of loosely organized and independent bands. Chiefs held the respect and support of the band as long as they were successful in the quest for food and in defence against enemy attacks. Bands moved around independently of each other, while in lean periods, smaller groups formed and split off to increase the likelihood of finding sufficient food. When the bison were concentrated in large herds more conducive to group hunting, the bands would come together for a few weeks in one large tribal encampment. There the Plains people joined together in the large celebrations that were the principal means of tribal cohesion. After the performance of the Sun Dance and possibly a bison drive, the bands separated again; in the fall they moved to well-protected campsites in river valleys, foothills and parklands, where they spent the winter. In the late 19th century, for instance, a practice called the Ghost Dance rose among the Plains people in both Canada and the United States. In its earliest forms, the ritual prophesied the return of the dead and the restoration of animals then becoming scarce on the Plains. Some Dakota (Sioux) practitioners also believed the garbs worn during the Ghost Dance would protect them from White settlers’ bullets. Believing the Ghost Dance had warlike connotations (because it was wrongly blamed for the rise of the armed outbreak in late 1890 that ended in the massacre at Wounded Knee, South Dakota), the dance was suppressed violently by the United States authorities, who forbade its practice on reservations in South Dakota. Though the Ghost Dance was not performed much in Canada, police took steps to discourage its practice. Spanish conquistadors moving north from Mexico introduced horses to the southern Plains in the 17th century. 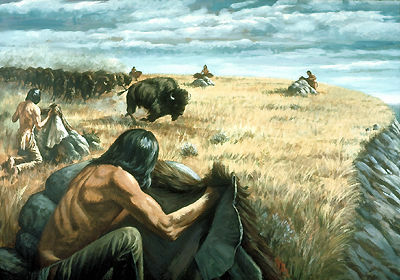 The animals spread north through intertribal trade and raiding, reaching the Canadian Plains by the 1730s. The use of horses altered hunting techniques and enabled the people to transport larger and more comfortably furnished dwellings. The use of horses also led to the rise of horse raiding as the most common form of intertribal warfare. Typically, small war parties would raid enemy territory, run off the horses and sometimes kill a few people. The arrival of Europeans around this time brought the Plains peoples into contact with settlements to the east, and from 1730 to 1870, Plains peoples played an important role in the fur trade, which in turn profoundly altered their way of life. Adjusting hunting patterns to meet the demands of the traders, Plains people gradually moved away from a subsistence lifestyle towards one of trade and interdependence. For more than a century, the fur trade was the sole method of contact between Europeans and the Plains people in Canada. These early encounters led to the spread of European diseases among the Plains people — in particular smallpox, which broke out several times on the Plains beginning in the 1730s and sometimes wiped out entire bands. (See also Health of Indigenous Peoples in Canada.) Survivors were left with shaken world views and undermined or entirely compromised support systems. As external support was largely provided by European missionaries	— often seen as both cause and cure for disease — sick and malnourished Plains peoples were not just vulnerable to illness and death, but to cultural and spiritual transformation as well. In 1870, the Crown purchased Rupert’s Land from the Hudson’s Bay Company, and in a series of treaties, known as the Numbered Treaties, between 1871 and 1877, secured a number of land cessions from various Indigenous nations. By this time, the bison herds had been virtually eliminated, and the integrity of many Plains communities had been severely compromised by White traders’ introduction of hard liquor. As disease and hunger ravaged Indigenous populations on the Plains, government-sponsored settlers arrived from the east in numbers that overwhelmed underprepared provincial authorities. The resulting settlement produced much tension and violence, which precipitated, among other reasons, the arrival of the newly formed North-West Mounted Police in 1874. The Red River and North-West Resistances of 1869-70 and 1885, respectively, were uprisings against the Canadian government aimed at protecting Indigenous ways of life, but both were ultimately defeated, and in November 1885, Métis leader Louis Riel was hanged for treason. Throughout this difficult period of social and economic transformation, missions of various Christian denominations played a major role in providing a new education system, frequently acting as mediators between Indigenous and non-Indigenous peoples. With the Indian Act, first passed in 1876, the government promoted assimilation, and used joint government and Christian missionary programs like residential schools to further those aims. By 1899, approximately 70 per cent of Indigenous people in Canada were associated with some church denomination. Indigenous activism for the right to self-determination	has steadily grown on the Plains, with movements achieving increasing levels of success. Organizations like the Saskatchewan Indian Cultural Centre (now the Saskatchewan Indigenous Cultural Centre) (1972), the Assembly of Manitoba Chiefs (1988), the Saskatchewan Indian Federated College (now First Nations University of Canada) (1976) and many other organizations continue to advocate for the revitalization of Indigenous rights, culture and education. In addition, many nations are exercising political and economic self-determination, like the Whitecap Dakota First Nation near Saskatoon, which owns and operates a golf course, a casino and many other profitable businesses on its territory. Luxton Museum of the Plains IndianVisitez le site Web du Luxton Museum of the Plains Indian. Par le Bibliothèque et Archives Canada. Luxton Museum of the Plains IndianThis site is devoted to the Luxton Museum of the Plains Indian. From Library and Archives Canada.